Now that the warm weather is here, my kitchen counters seem to be a magnet for fruit flies. They are everywhere once my fruit is placed in my fruit basket, and they never seem to leave! I have little fruit fly vinegar traps everywhere, but these little buggers are getting smart! 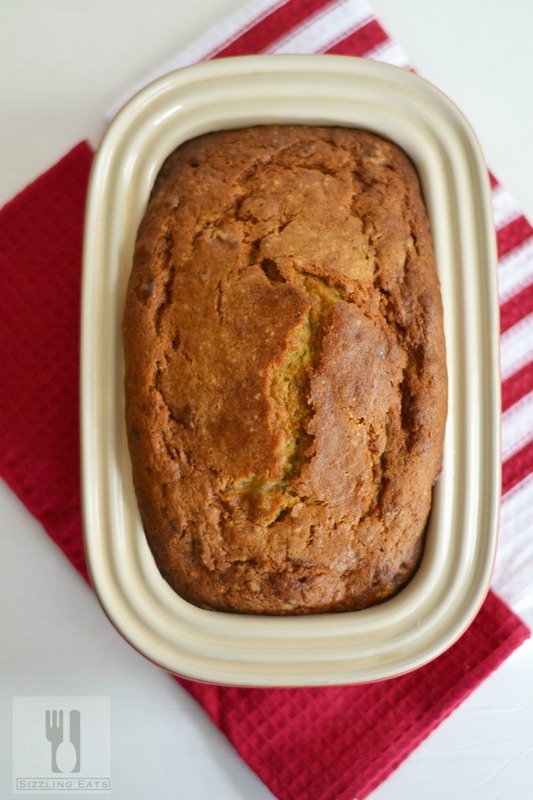 The humidity was turning my bananas ripe way too fast so I knew it was time to make some Almond Banana Bread! Have you ever added sour cream to your baked goods? 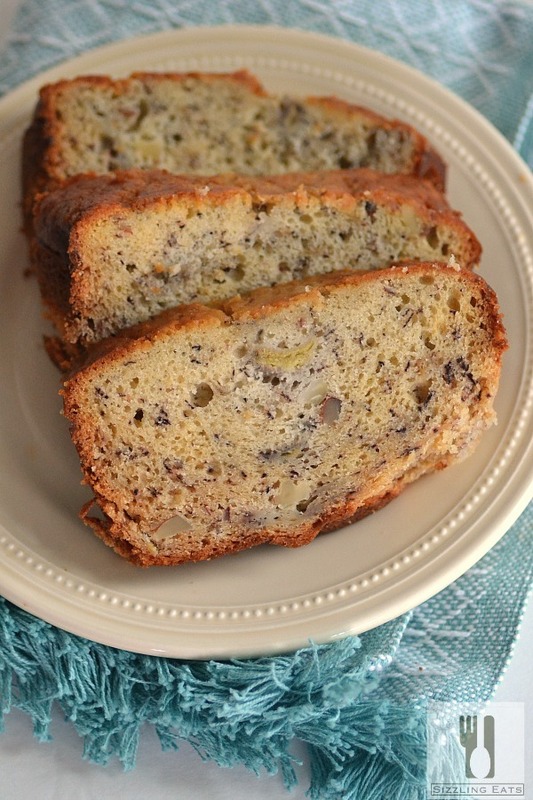 Sour cream is a perfect addition to cakes and banana breads! 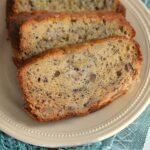 It is such a wonderful little trick that will help you produce the tastiest, and moistest banana bread ever! 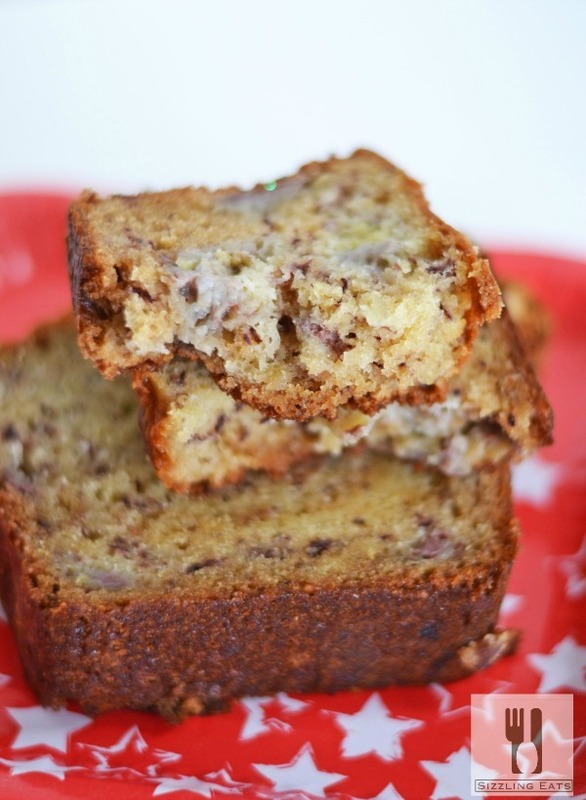 You could even turn them into bananas muffins and they would still be totally delicious! I love to add sour cream to my baked goods when I can find a good deal on it. My local market often marks down soon to be expired produce and dairy. This section of the store is such a gem because I based meals around what I can get! When sour cream is around $0.50 a container that is when I know I can bake up a few loaves of Banana Bread Made with Sour Cream. Since bananas are usually also marked down the minute they get a few brown specs, I can make loaves for about a $1 cost! With many little hungry bellies to feed, this is my go-to snack and breakfast option for days when my pantry is starting to get thin. Plus, the recipe and whole baking process is pretty darn easy so it is certainly not hard to do! Bake for 50 minutes or until the center bounces back and passes the “toothpick” test. 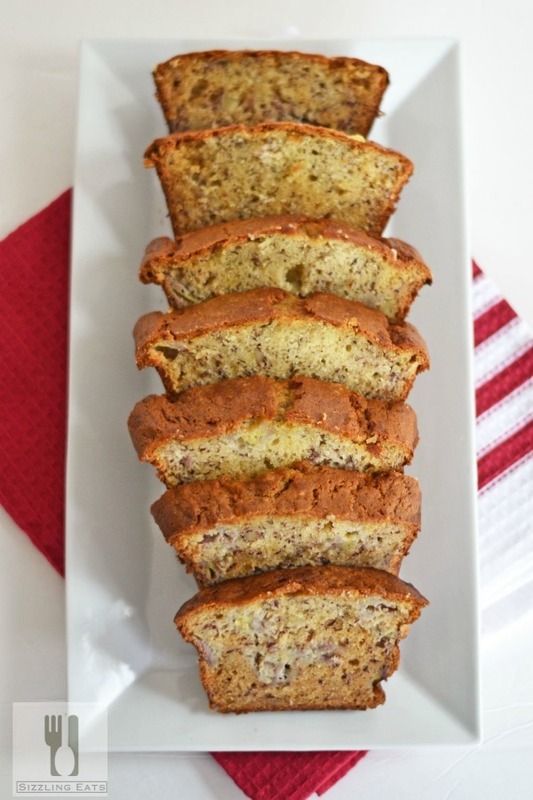 A delicious spin on classic banana bread recipe. The use of almonds and sour cream add a moist and crunchy element to this baked bread. Bake for 50 minutes or until the center bounces back and passes the "toothpick" test. I love to make banana bread. I have a recipe that requires buttermilk, but I bet it would work with sour cream, too. The addition of almonds instead of my regular walnuts would be a nice change, too. That sounds delicious! I have bananas going soft to use up too! This sounds delish! 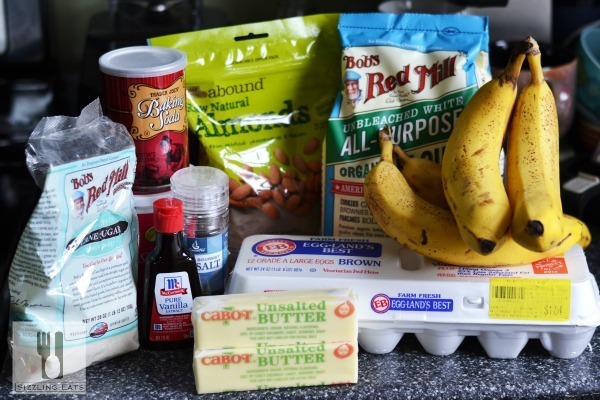 I have bananas sitting on my counter now and can’t wait to try this recipe. Hmm, I love banana bread and I also like sourdough. I’ll bet these are great combined! I just bought a couple containers of sour cream that were on sale. I may have to try this!